Let me say from the get go that I don’t put much stock in numerology. But before dissing the discipline too much, let me also say that Isaac Newton, perhaps the greatest scientist of all time, spent most of his later years immersed in numerology trying to decipher the secrets of the end of days hidden in numerical code within the Old Testament – primarily the book of Daniel. We ordinary people experience the world through a mere 5 muggle senses – yet even those boring senses can evoke so many emotions. When we see the sun set, we are deeply moved with a wondrous aesthetic sense of beauty. We smell something familiar and a myriad of memories and associations overcome us – some breaking through to our conscious minds but others are buried deep inside eliciting vague impressions of nostalgia that bring a smile to our face – for reasons we can’t exactly pinpoint or explain. A song can stir us with powerful recollections of other times and circumstances when we heard it played. 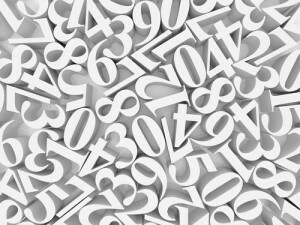 If you are a numerologist who happens to belong to a faith-based community, there is an even greater source of associations that can be drawn upon. 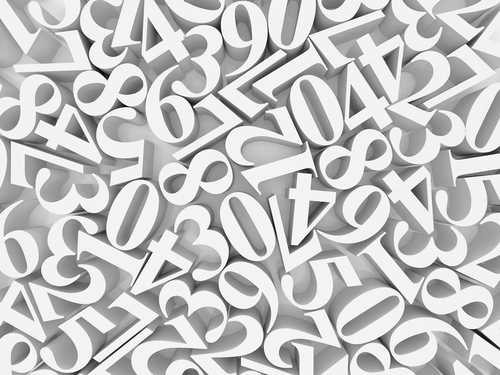 Numbers not only remind you of other numbers, but they remind you of connections between letters or phrases or passages – and when the connections are very striking, coincidence is replaced by Divine providence, and relationships become affirmations of mystical truths. Jewish numerology is based on gematria or isopsephy as the Greeks called it. Unlike the English alphabet, letters of the Hebrew alphabet also represent numbers, and the ancient discipline of gematria (from the same Greek root as the word geometry) makes use of the numerical value of words to find hidden codes and associations. For example, the numeric value of the Hebrew word for love (ahavah) is thirteen, equal to that of the word one (echad). This leads gematria aficionados to suggest the symbolic connection between the two, namely, that when there is true love between people, there is unity of heart and soul. Furthermore, twice the value of the word love—twenty-six—is the gematria of God’s name (Y-H-V-H), implying that strong and proper love between two people will bring holiness and sanctity into the relationship. My numerologist friend called me up a few days later to talk about one particular fact we mention in passing, namely, that the wavelength of a clear sky is 477 nanometers. (You can judge that for yourselves. Using the online wavelength to RGB calculator found here, I set the color of the box on the right to #00BCFF corresponding to 477 nm. ) Biblical blue – tekhelet – of course, is traditionally equated with sky-blue. The 477th word in the Bible, my friend explained, is the first time that the name of God (Y-H-V-H) is mentioned. It is found in the passage (Genesis 2;4) that describes the creation of the sky. (“Such is the story of heaven and earth when they were created. When the LORD God made earth and heaven.”) And so, that number which is the color of the sky is intimately related to God’s creating the sky. I guess it was numerological insights like this one that convinced Newton to put down his prism and pick up a Bible.